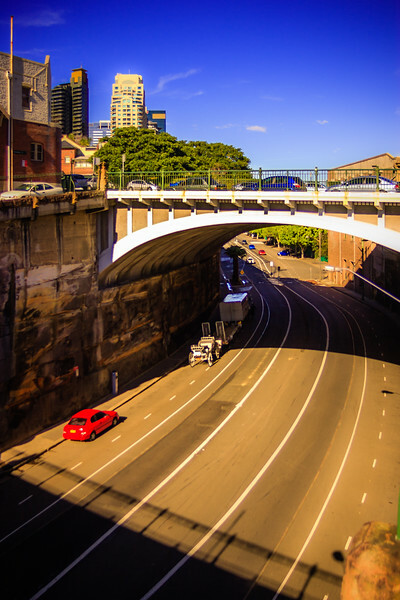 The Munn Street Bridge over Hickson Road, Millers Point. Constructed 1910 (both the bridge and the road), named for Scotsman James Munn - who operated a shipbuilding yard nearby. NB : The road beneath was named for the President of the Sydney Harbour Trust, Robert Hickson.